It is important to align the research design and team structure. 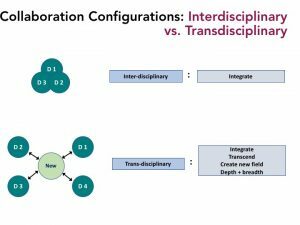 Interdisciplinary is commonly used to denote any collaborative research. 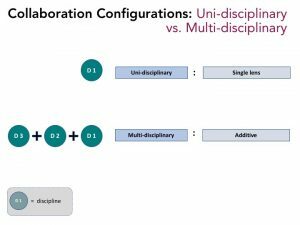 However, more specificity about the collaborative structure is helpful in conceptualizing and carrying out a research project. Key terms bandied about, with varying degrees of specificity are uni-disciplinarity, multi-disciplinarity, interdisciplinarity, and cross- or trans-disciplinarity.